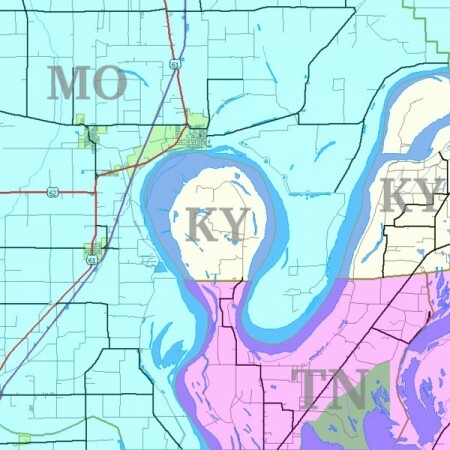 From the very interesting Strange Maps post about the Kentucky Bend enclave. Both families belonged to the same church â€¦ They lived each side of the line, and the church was at a landing called Compromise. Half the church and half the aisle was in Kentucky, the other half in Tennessee. Sundays youâ€™d see the families drive up, all in their Sunday clothes, men, women, and children, and file up the aisle, and set down, quiet and orderly, one lot on the Tennessee side of the church and the other on the Kentucky side; and the men and boys would lean their guns up against the wall, handy, and then all hands would join in with the prayer and praise; though they say the man next the aisle didnâ€™t kneel down, along with the rest of the family; kind of stood guard.